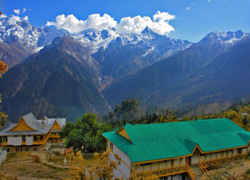 For those seeking the best way to embellish their honeymoon in chamba, Chamba is considered to be an ideal destination and thus honeymooners do choose the best Chamba holiday packages for honeymoon. And honeymoon in Chamba is all that perfectly adds an extra glitter to the much awaited together times of a new married life.Chamba is a place adorned by the calmness of River Ravi and couples get more than attracted to this place when they come across the thick deodar forests or as well as the easily noticeable and widespread valleys with plenty of greenery. chamba honeymoon tours make everything possible for you both. Chamba is also much liked by sports freaks as well who consider honeymoon in hill stations for fulfilling their wishes of adventure through trekking mainly in the regions close to Himalayas, Pangi Valley, etc. And Chamba honeymoon packages allow you to indulge in all these adventures. Newly weds can opt for exclusive Chamba tours that let you roam around a series of places ameliorating the inherent splendor of Chamba. The most interesting thing about Chamba honeymoon packages is that through them, you don’t miss out on any significant spot deserving your visit. Religious devotees and those who have strong faith in religion would definitely feel like delving into the zones of every sacred spot that continuously adds to the sacred essence of Chamba. All the best Chamba honeymoon tours help you in exploring the prominent temples such as Champavati Temple, Vajreshwari Temple, Chamunda Devi Temple, Sui Mata Temple, Chaurasi Temple showcasing the noticeable Shikara style of architecture, as well as the Brajeshwari Devi Temple, the holy home of goddess Durga, Laxmi Narayan Temple, etc. With the visit to temples, your honeymoon in hill stations like Chamba is likely to have a distinct aspect attached to it. In addition to the existence of temples, there is an array of captivating monuments and places, a visit to which is likely to revamp all the days of your honeymoon tours. You can take your sweetheart to Rang Mahal, where the visible British and Mughal style of architecture would catch your eyes. Akhand Chandi Palace is another spot worth visiting that dates back to the mid 18th century. Both of you must also make it a point to visit the Bhuri Singh Museum that is well known for its Kangra as well as Basholi paintings. All these places are an essential part of your Chamba holiday packages for honeymoon. A prominent area in Chamba is Chaugan where you get captivated through the sight of a plethora of significant buildings. Apart from the above mentioned spots, you can visit the Saho village in Chamba, whose pleasant rural look provides you a completely soothing touch, making it a must visit place during Chamba tours. Therefore, waste no more time in planning to avail for honeymoon locations, which is likely to prove it as one of the best options for celebrating your newly married days. Bed tea/coffee, Evening tea/coffee with cookies. Complimentary cake & Chocolate once. Breakfast & dinner at Khaatir Restaurant as per plan. Once Candle Light Dinner in the room (on request). Special 10% discount on additional food.